On August 14, Christine Hallquist won a divided Democratic primary for Governor by receiving nearly half of the votes (48%) in a contest where many of the more established Democrat and Progressive politicians sat out the race, thinking Republican Gov. Phil Scott could not be beat. 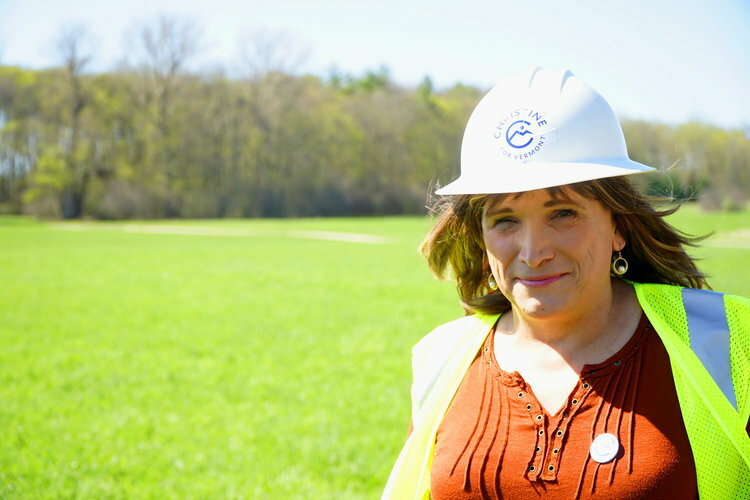 In Hallquist, we have a candidate with a growing number of progressive supporters who has proven an ability to listen to the problems facing Vermonters and get behind the policies that Gov. Scott vetoed this past legislative session—like raising the minimum wage and enacting paid family leave. It also must be said that having the first major party transgender candidate for Governor in our country’s history is historic for trans equality in this country. This year’s Democratic primary voter turnout—which according to the Secretary of State’s office was nearly triple from the 2014 Vermont midterm elections—is an indication that there is enthusiasm to challenge and defeat Scott. With strong campaigns to re-elect U.S. Senator Bernie Sanders and Lt. Governor David Zuckerman, and an opportunity to create a veto-proof majority in the House, we could see one of the biggest political upsets since 1962. That year, Democrat Phil Hoff defeated Republican Ray Keyser in the race for governor, making Keyser only the second governor to ever lose re-election. We understand that many RAD members supported other candidates during the primary, and may feel hesitant to engage with a candidate who was cast as more conservative and corporate in contrast to the other primary candidates. However, the stakes are high: for many of our most vulnerable folks, the outcome in November may determine the difference between having a roof over their head instead of being homeless, having a meal instead of going hungry, seeing a doctor instead of dying, and being seen and valued instead of marginalized and discriminated against. Elections are opportunities to change the political environment where we fight for the things our communities need. Whether candidates emerge from our movement or not, our work during these elections builds independent people power that can hold accountable whoever is elected and can keep organizing the rest of the year. We have evidence that Hallquist is willing to do just that. During the 2018 legislative session, Hallquist took part in the Minimum Wage Challenge, and from that experience embraced the push to raise the minimum wage. It’s not just an opportunity, but an obligation, of grassroots organizations like RAD to further engage with Hallquist and our members about other issues that are important to our communities and define where we have shared interests and a shared vision for a better future. Let’s put this political race in context. We all know that our current political system—despite what we have been told—is not really a democracy, as the game is played with the cards heavily stacked in favor of the wealthy elite. The good news is that people all over are waking up to this rigged system and are seeing elections as critical power struggles. Gov. Scott and his radical right campaign donors want us apathetic, divided, and, most of all, not turning out to vote. In 2016, the Republican Governors Association (RGA) spent more than $1 Million to help get Scott elected, because the Koch Brothers see him as a low-dollar investment to foist their anti-worker, anti-family, racist, and anti-environment policies on Vermont. Already, the RGA has spent $200,000 on Scott this election cycle even though he had token opposition in his GOP primary. Why? Because the RGA and Kochs see the same polls we do: Vermonters want paid family leave, they want to raise the minimum wage, and they want polluters to be held accountable. On those issues, and much more, Scott is on the wrong side. And, he’s raising money from the very corporations who benefit from rejecting these progressive ideas. So, who’s side is he on, and who’s side are we on? In this election we have an opportunity to build a people-powered movement that can elect true champions on a local level and defeat a real obstacle to progress—Gov. Scott. Alison Nihart is chair of the Rights & Democracy Project Board of Directors and James Haslam is Executive Director of Rights & Democracy. If you want to help RAD this election season support our endorsed candidates, we have volunteer positions open! 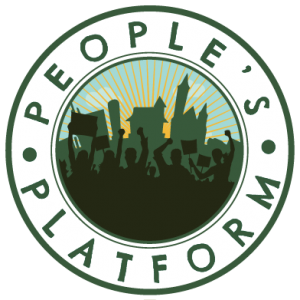 Check out our list of opportunities to engage voters and win on our issues!